Recently I used the public “Suggest an Edit” feature to propose changes to a couple Google My Business pages that had info I wanted to correct. It’s a good thing I’m one of the good guys, because Google approved all too easily edits to pages that I didn’t control. In both cases I wanted to change the landing page URL – the page visitors go to when they click the “Website” button in the search results – from pointing to a subpage to pointing to the homepage instead. Both cases were different, but both edits were approved by Google. I don’t have a great track record of getting my edits approved – pretty hit-or-miss. Also, though each edit made sense, neither was a no-brainer. 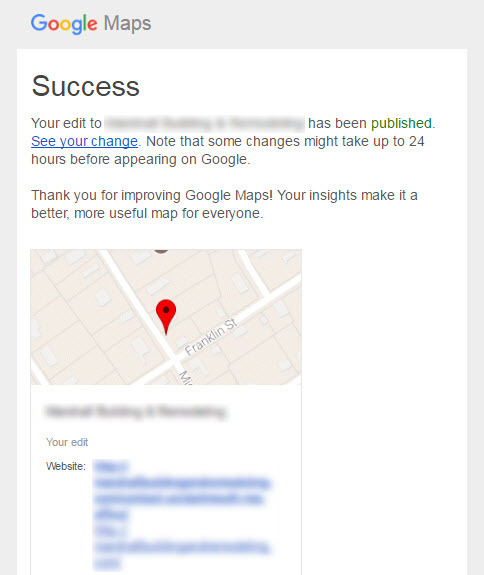 One of my newer clients – a chap in Australia – hadn’t claimed his Google My Business page. Getting him to do it proved a pain. In the meantime, I wanted to fix his GMB landing page URL, which pointed to his “About” page. I wanted it to point to his homepage instead. We’d claim his page another day. I used “Suggest an Edit” to suggest the homepage as the landing page URL. My edit was approved instantly (I got the email within about 2 minutes). Another of my newer clients has two locations. The high-ranking, “flagship” location has a Google page that points to the homepage, as it should. The lower-ranking, satellite location pointed to a “Location” page on the site. It was “SEO’d” just fine, but my general approach is the use the homepage unless there’s an unusually compelling reason not to do so. In any case, her non-Google listings (i.e. citations) pointed to the homepage, not to the “Location” page, so we had to pick one URL or the other to use across all listings. We agreed that using the homepage as the landing page URL would be the way to go. Now, my client had long since claimed both of her Google pages. I easily could have edited the landing page URL in the Google My Business dashboard. But I wanted to see whether this particular public edit would stick on a claimed Google page. I requested that they change the Google My Business landing page URL from the “Location” page to the homepage. 7 days later it was approved. 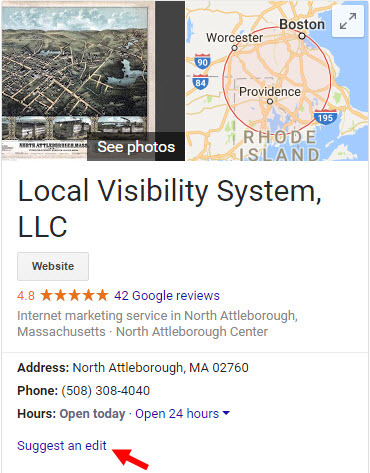 Remember, that was an edit to an owner-verified Google My Business page. It wasn’t one of those unclaimed pages on which Google isn’t sure whether it’s got the correct data, where edits seem to stick more easily (as they probably should). So the landing page URL isn’t always hard to edit. So what? Mind you, I like when Google approves my edits. They sure don’t always approve them, probably because often they’re not edits to landing pages, but proposed changes to an address or name. My concern is Google is far more likely to approve edits to landing page URLs than to name, address, or phone info – which in general either is factually correct or factually incorrect. What’s the correct landing page URL of a business? As long as the site is one the business owner actually owns, the specific page used is a matter of preference. That’s why I’m concerned that this presents a way for some unethical business owners to mess with their local competitors with relative ease. Sometimes, if you’ve got a site with decent link-juice and clean citations, all it takes to “pop” into the Google Maps 3-pack is just to get your landing page URL right. The reverse can happen, too. I wonder how public edits will be affected when Google MapMaker is killed off in March of 2017. Have you made public edits that get approved too easily? Have your competitors been abusing public edits? Were they edits to a landing page URL, or to some other bit of info? I’ve yet to try this option though have noticed it prominently placed in the Knowledge Graph so this is good information to know, Phil. Could the edits be approved so quickly because you are in good standing with Google and have updated listings/maps/etc previously? I’m thinking a process similar to how MapMaker worked – the more you edit and G approves, the more likely you are to get more approved? That occurred to me, but I don’t have a great batting average with “Suggest an Edit” edits or MapMaker edits. Maybe the bar is low, though. I think it is very easy to make a “usability vs. SEO” standpoint here on what URL to place in your GMB (Usability – get a viewer to the information they are most interested in quickly, versus SEO – use your highest authoritative page to manipulate the results). If I have constructed GEO-specific landing pages for a client (who do have a physical office in that location), I have always used the GEO-specific landing page as my landing page URL. Yes, I do know that it has a lower page authority than the home page (as it should), but I have found that it has lead to a higher conversion rate. All my citations for the location would be built using the GEO-specific landing page URL instead of the home page. It’s not an either-or choice between “SEO” and “UX.” For one thing, many people expect to go straight to the homepage. Also, more to the point, the homepage can have plenty of info on each location. I would argue that it should have that info, whether or not one uses it as the landing page. Phil, thank you for your response. Let me add the caveat that I deal with law firms who have multiple locations, sometimes in different states. We add the NAP information for all offices in the footer on every page. The usability example I like to use (and I understand it might be an extreme example) is the US Post Office. If I want to know the services of my local post office, the GMB listing link for the post office takes me to the USPS home page. We know the information is not there, and thus requires me to search the USPS site to find the information I am requesting. I have done A/B testing with my law firm sites using just the home page with UTM codes appended, as well as GEO-specific landing pages with UTM codes appended so I can track conversions based on those campaigns. In my data I have found that the GEO-specific landing pages had a much higher conversion rate than the home page. This is only my data, and I realize that this may not apply to all businesses. Certainly using a location page as the landing page would convert well in some cases, though from case to case I’d say it depends on many factors. At what point do you stop using the home page URL as the GMB landing page? 3 locations? 5? Never? And how many locations before you stop putting every address on the home page or site-wide? Hmm, might make a good blog post topic. Just sayin’! Happy holidays! Excellent question. The short answer is I consider it a “know it when I see it” situation. One big factor, for me, is whether the business either (1) has so much link juice on its domain that any location page we create will probably rank well out of the gates, even if that specific page has no or few links, and (2) whether the client is willing to do what it takes to get some good links to the location pages. If either of those is the case, using a location page would be great. As for the site-wide NAP info – or just address info – I’d say it’s worth considering other options after about 12 locations. I was experiencing similar issues like this. Our client had a major migration individual websites to one main website. We were unable to get access to all of the GMB listings and had to do suggest edits. We have a verified business so we are able to make instant edits 99% of the time. Names and urls, are hit and miss. Sometimes our edits would be approved right away and one a few occasions we waited 4 months for our edit to be approved. There are other listings that we had to wait 2 months for Google to approve our URL edit. Are you saying that the GMB pages were verified in one Google account you didn’t have access to, so you used a different Google account to suggest edits? Agree, the suggest an edit feature is a mixed bag. I’m curious about a minor point in your post: linking multiple businesses to the homepage instead of to the landing page. My own practice is to match the business location to the website landing page in a multi-location scenario, as this instantly connects the user to a page that was designed just for them, and will hopefully increase conversions because of this. It whittles the journey down to a single click, rather than delivering them to a homepage on which they’d have to find a menu/store locator widget to discover the landing page for their location (two or more clicks + typing). It sounds like you are seeing SEO benefits from linking everything to the homepage outweighing UX/conversion concerns? I think that’s an excellent practice in some cases. Just not in all cases. In my reply to Rich I laid out some thoughts on that. Wouldn’t say that anything should ever outweigh conversion concerns (nor were you saying that!). Even in terms of converting power, most “location” pages are underdeveloped and worthless. They might convert well on the surface, but only because they rank for brand-name search terms – where people searched specifically for a location of a given business. Those customers are all but in the bag. The page would have to be pretty awful not to convert them. But if it were rank for broader, non-brand-name search terms, then the batting average wouldn’t be so good. Great article Phil. As a Google Guide, I suggest an edit very often, but rarely to a landing page URL. Unless I’m working with the business, of course, in which case I always go with the homepage. It’s like you said: there isn’t a correct landing page URL, so changing it isn’t very useful. In fact, one of my clients was peeved that I changed the URL from the contact page to the homepage before notifying him. Since then I only update the facts. I feel it’s important to note that the few times I have changed the URL, it updated within an hour. It might be because I’m a guide, or just good luck. Thanks, Mohammad. Interesting. I would not be surprised if Google Guides’ edits generally are rubber-stamped. Came upon this searching “GMB suggest an edit” because a client of ours just today had someone change their business phone number on their Verified Google My Business profile. When called it went to some sort of competitor. I went in and edited it back to the correct number. About an hour later it was done AGAIN, and the person changed the business name. All the info on the backend of Google My Business was correct. The listing is fully verified. It took two hours of searching and getting a support number — because Google My Business apparently recently removed that feature where you could request a call back via the GMB support dashboard. It was fixed, but hours of work were used on something that appears easy to stop in the first place. The best the support guy could offer was blocking the “spammer’s” email. I suggested edits should be sent to the verified owner’s emails before just being made live. Apparently that just isn’t possible? Bizarre. Long story short, the ability to edit verified business profiles with little to no delay is a dangerous set-up. 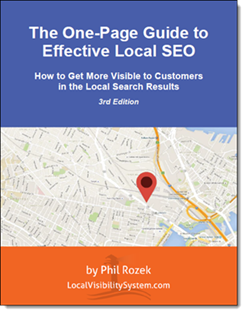 Dozens if not hundreds of customers could be lost, particularly by businesses that don’t have dedicated marketing or local search teams to assist.